Jonathan has a broad trusts and commercial practice. Much of his time is spent on private, pension and other commercial trust disputes and fraud disputes, both on and offshore. His litigation often takes him into other areas of law, and he has significant experience of cases with family, regulatory, insolvency and public law elements. 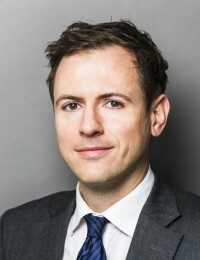 For example, his trials over the last year include a large regulatory fraud trial, a high value Family Division trusts and divorce trial, a number of offshore trust hearings, a 6 week trial attacking the trustees’ exercise of discretion, and a 9 day Court of Appeal hearing on the duty of trust and confidence in the pensions context. He also has a significant advisory practice across this spectrum of work. He very much enjoys the challenge of breaking down complex issues into simple, clear points and the advocacy involved in litigation, both oral and written. He is ranked in the directories for trusts (private and pension), offshore, civil fraud, traditional chancery and high net worth work (Chambers and Partners) and civil fraud, commercial litigation, pensions and private client (Legal 500). Co-author (with Dr Janet O’Sullivan, Reader of Law at the University of Cambridge) of The Law of Contract (1st-6th editions) (Oxford University Press). Co-author of the Pension Scheme Actuaries chapter in Professional Negligence and Liability looseleaf.